GEMTECH’s new GM-45 suppressor utilizes our patented G-Core technology. The G-Core design is exceptionally user friendly and allows the user to clean the entire unit. The GM-45 is shipped with the standard .578-28 piston with other several options available. Wet Sound Reduction: 32-35 dB. Sound Reduction: 21-23 dB. Caliber Rating: 45ACP, 9mm, 10mm (dry only), 40S&W (dry only). Full Auto Rated. Length: 6.2″ (without mount). Diameter: 1.375″. Weight: 5.5 oz. (without mount). Material: 7075 Aluminum. Tube Finish: Matte Black Cerakote with Reduced Visual-IR Signature. Core Finish: Matte Black Anodize. 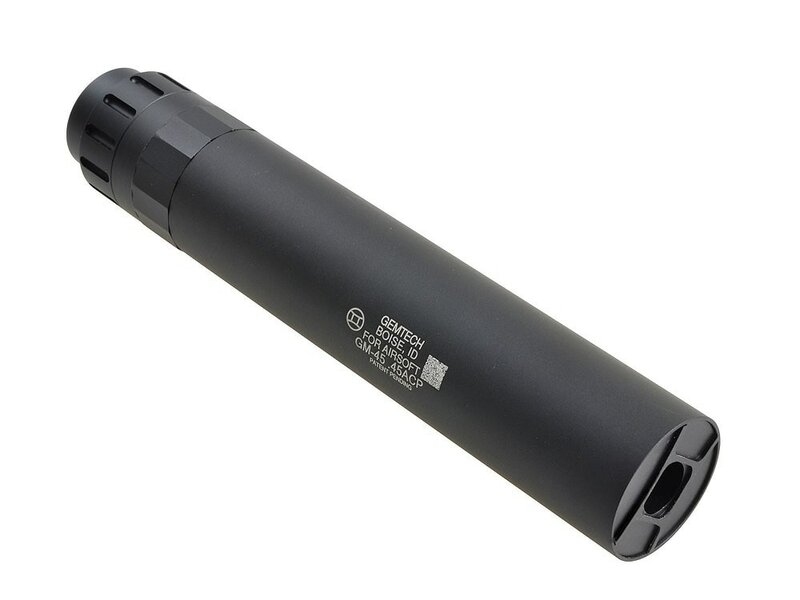 Mount: All GM-45 suppressors are shipped with a .578-28 standard piston.